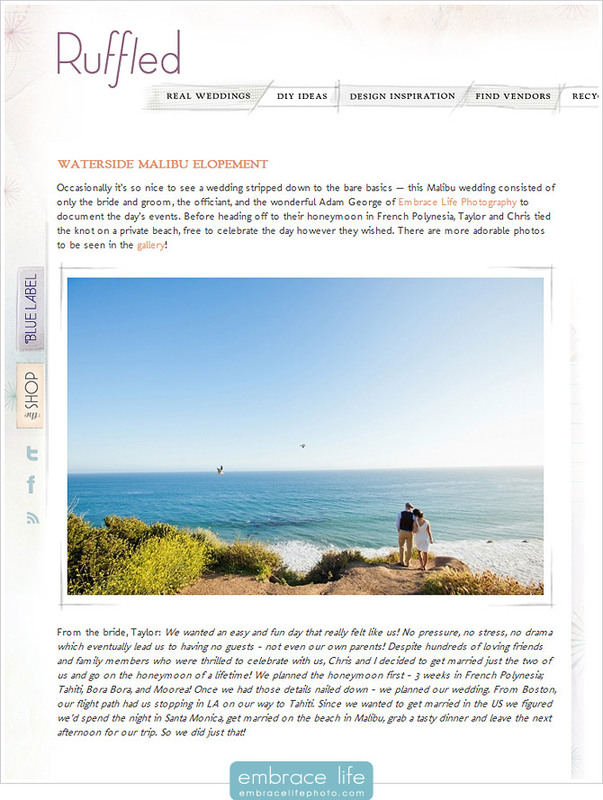 It’s always an honor to have our wedding photography featured by an incredible publication, be it print or online, and we’re excited to share that Ruffled chose to share Chris and Taylor’s intimate Malibu elopement photographs from El Matador State Beach with their readers. Click here to see their post. Thanks, Ruffled! Our own post of Chris and Taylor’s beautiful Malibu beach wedding ceremony and portrait photography at El Matador State Beach is just a couple of posts back. It was such an honor to be one of two people to witness their marriage and I’m honored again by Ruffled’s blog feature of this sweet and stylish elopement.